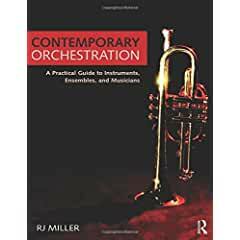 - Practical considerations: Practical suggestions for choosing a work to orchestrate, and what to avoid when writing for each instrument. --- In the Profession: Professional courtesies, considerations and expectations. --- Building the Score: Step-by-step construction of an orchestration. --- Scoring Examples: Multiple scoring examples for each instrument. --- Exercises: Analyzing, problem solving, and creating orchestration solutions. - Critical Thinking: Alternate approaches and solutions. 1. Preliminary Considerations 2. Scores, Parts and Notation 3. Practical Problem Solving (A step-by-step guide through an analysis with a practical scoring solution) 4. The Violin Family 5. The Brass Family 6. The Woodwind Family 7. The Percussion Family 8. Voices 9. Harp 10. Guitar 11. Scoring for Orchestral Tutti 12. Overview of the Wind Ensemble/Concert Band Tutti 13. Scoring for Musical Theater 14. Instrument Substitution 15. Recommended Listening and Analysis 16. Parting Thoughts.